Now known as the Joseph Nichols Tavern after the original tavern owner, this Federal style building was bult in the early 1800s. Travellers from the ferry crossing, including Thomas Jefferson driving between Monticello and Poplar Forest, stayed here. The original entrance faced Madison Street as it does today. Around 1840, a wing and columned pourch were added providing a main entrance on Fifth Street. 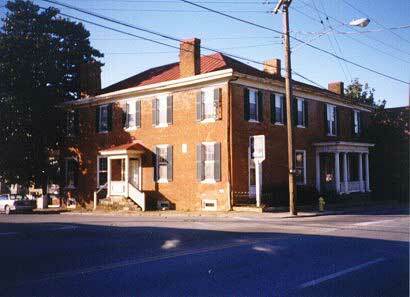 In the mid-1970s the Nichols Tavern was renovated into four apartments. The Nichols Tavern has been named to the National Register of Historic Places and the Register of Virginia Historical Landmarks.